Discover the delightful village of Oakbank on this heritage walk. There are more than 40 sites for you to explore, all with numbered plaques, which are detailed in a brochure available from local businesses and the Adelaide Hills Council, Woodside. You can enjoy the walk at any time, which may take up to an hour to complete. Founded in 1840 by James Johnston of Campbelltown, Scotland, Oakbank was named after an area near Glasgow. James and his brother established their Oakbank Brewery in 1843. 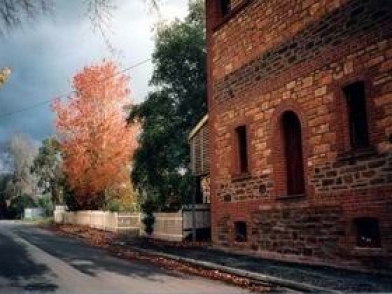 The original building is on the bank of the Onkaparinga River and you can buy wines and soft drinks there. 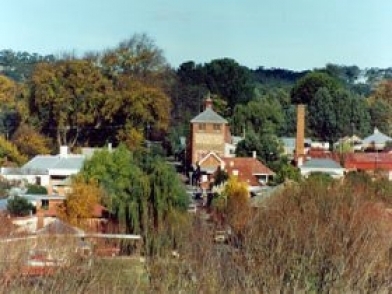 See the Oakbank Racecourse, established in 1874 where thousands of people still come each year for the Easter Racing Carnival and Pike's historic Brewery founded by Henry Pike in 1886, see the heritage-listed brew tower and workshops now home to the Oakbank Weaver.